The Llano Estacado is an astonishingly flat terrain and home to playa ecologies as a natural system of water management. 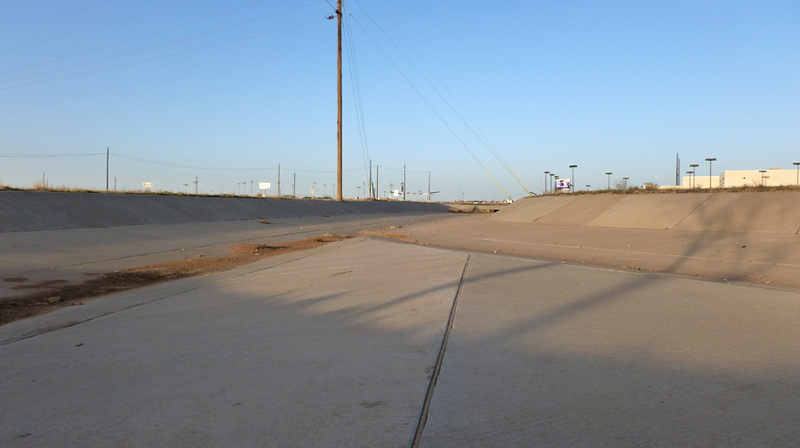 Within Lubbock’s city limits there are roughly 144 playas requiring the city water management introduce a system that negotiates between storm water channels and storm water pools. 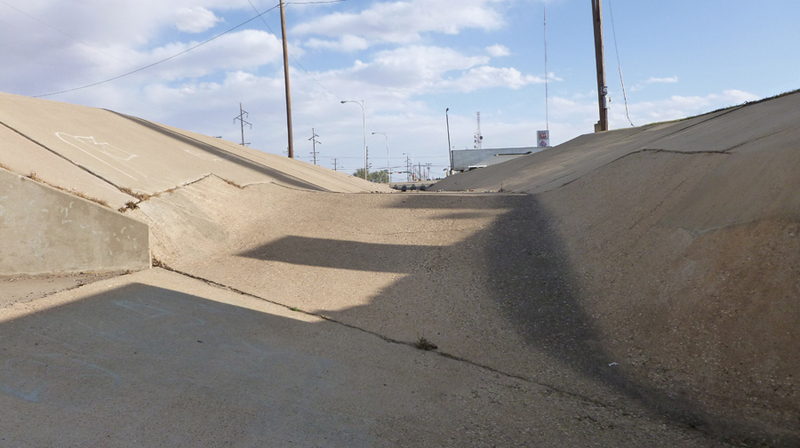 Given the vast amount of built, paved and capped surfaces in Lubbock water channeling is an enormous infrastructural undertaking and one that leaves strong marks in this environment. 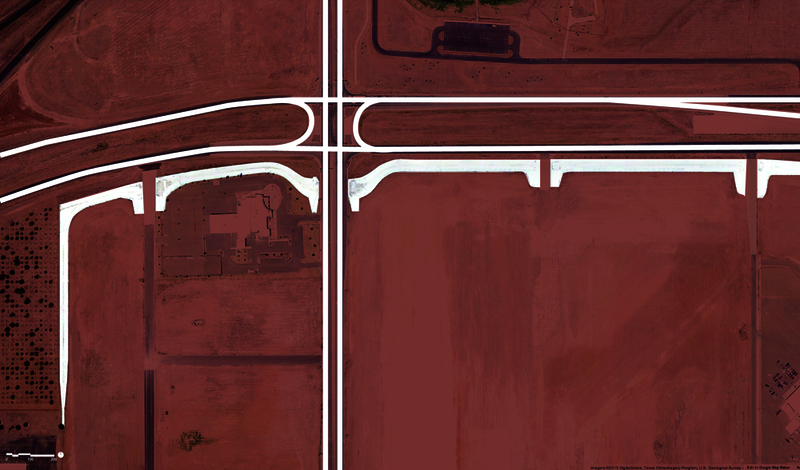 In any short heavy West Texas rain storm the city roadways become water routes where circulation briefly submerges under spontaneous pools. 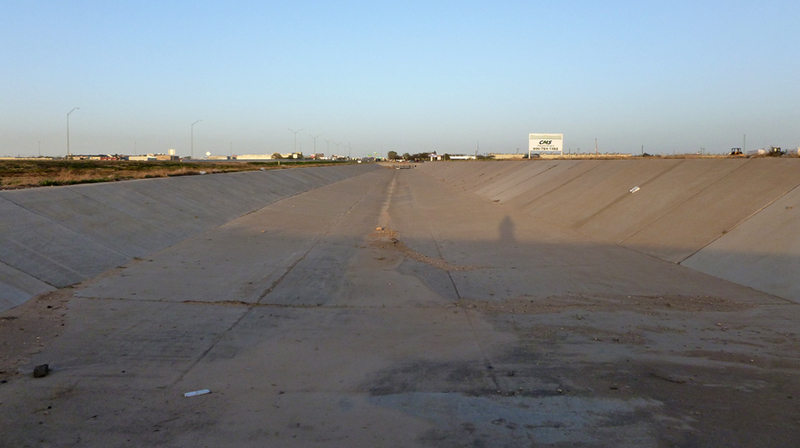 In contrast the newly constructed future development areas of South and Southwest Lubbock is an example of investment in monumental water infrastructure with channels that range from 1,000 feet to 4,000 feet. Each water channel offers an alternative perspective back to the city through the recessed space, easily becoming a private area separate from the surrounding context. 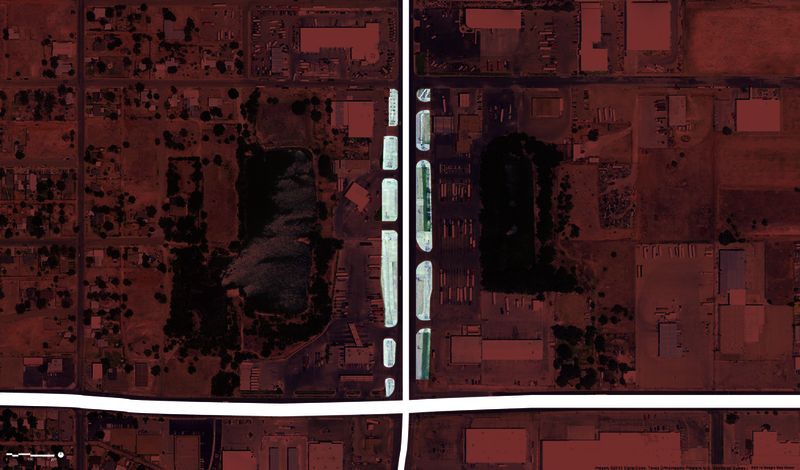 As written in the earlier post, Shadow Landscape, these depressed channels change the street scale to widths expected to be found in the dense neighborhoods of San Francisco, Seattle or New York. Given each paved water route reaches maximum depths of three to eight feet one can quickly disappear by dropping below the Llano Estacado horizon. This impressive water route infrastructure is a refreshing spatial alternative to the storefront parking lots so often transversed in city environments.